15 years ago something of seismic proportions hit the boot market, as Nike broke all previous notions and norms of boot design and function. 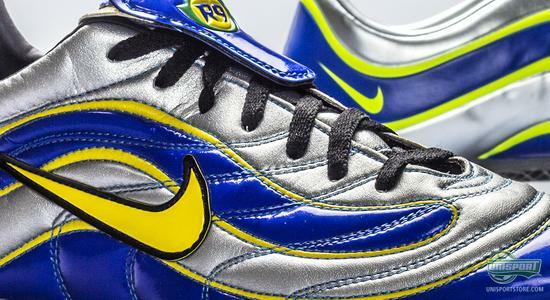 The Nike Mercurial R9 was born and it was the lightest boot ever. Now it's back as a top-tuned and modern version, in the shape of the Nike Mercurial Vapor IX 15th Anniversary Edition, but how do the two boots measure up to one and other? It was in 1998 that Nike introduced the Nike Mercurial R9, which, as the first boot ever, focused on making the player quicker. By today's standards, where the lightest boots clock in well below 200 grams, the 250 gram weight sounds hefty, but in the time of the Mercurial R9, it was ridiculously light. 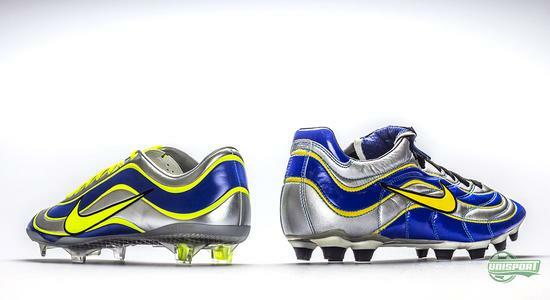 Now 15 years later Nike have launched the same boot, as a modern interpretation and we now see how the two boots compare. 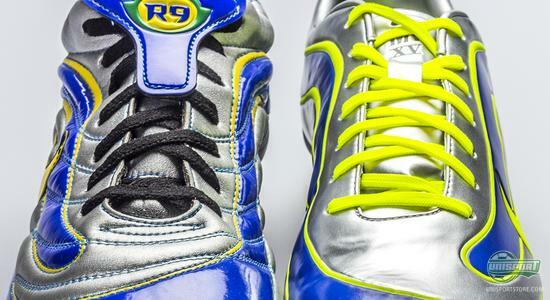 You can see the R9 and all the rest of the iconic collection in The Mercurial Archive right here. The technology of the boot has changed drastically since 1998, but one thing you can't take away from the original Mercurial R9, is the design. You have to say, Nike really hit the nail right on the head with the design, as it was made especially for the Brazilian legend, Ronaldo. Therefore, it is no surprise that they have opted to keep it, 15 years later. They have kept the colour combination, even if it has been given a slight modern lift, with the introduction of the bright yellow Volt colour, which has become very popular on many of Nike's running shoes, sneakers and other football boots. 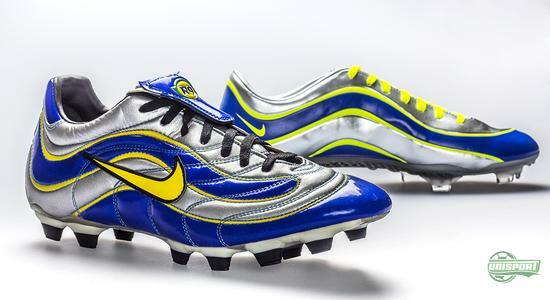 Even though it has been 15 years, the two boots still share quite a few similarities. 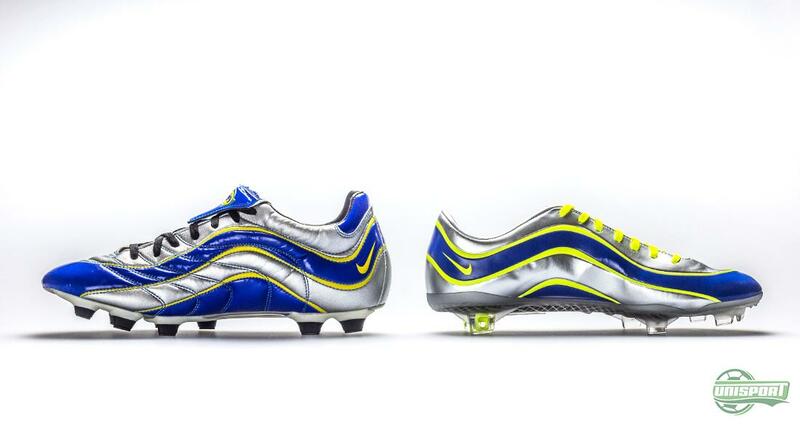 The original Nike Mercurial R9 was designed with an upper of synthetic microfibre, which would give a comfortable, leather-like feel, while still keeping the weight low. The same goes for its much younger heir to the speed boot throne, which has the excellent Teijin-upper. The latter is however significantly lighter, as it weighs just 185g, which is 65g lighter than the original. The Brazilian Ronaldo dazzled opponents with his blistering pace and close control and this was definitely not something that had passed Nike by. The upper had been treated with a sticky finish, which ensured better grip on the ball. 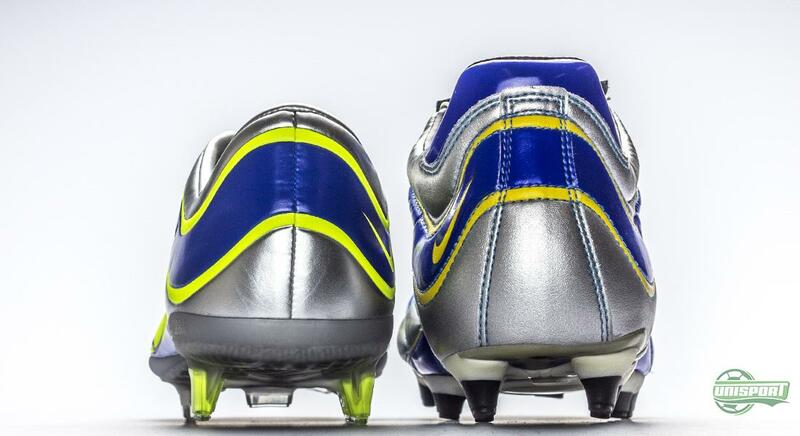 The same has been done to Nike's Anniversary Edition, which also has the grip improving finish. On top of that it also has the ACC-technology, which makes sure you have the same grip in wet conditions, as you would have in dry. Arguably the biggest change is underneath the boot, where a lot has happened since 1998. On the Nike Mercurial R9 the outsole is made from TPU, which is a plastic material, with a very low weight and high elasticity. 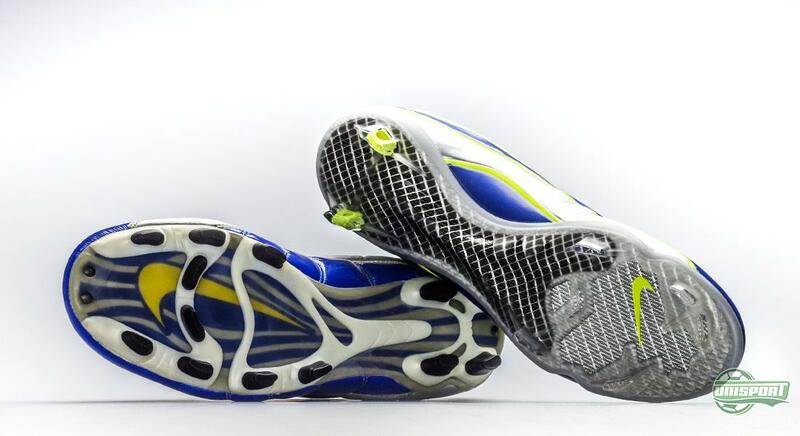 15 years later and technology triumphs, as they have, like on the regular Vapor IX, used a double layer of fibre glass under the mid- and front foot. It gives seconds to none responsiveness, low weight and these are just a few of the boots very impressive attributes. Another dramatic change comes in the way of the stud-configuration, but many of the fundamental principals remain. The studs on the Mercurial R9 where ahead of their time, as bladed studs where practically unheard of. 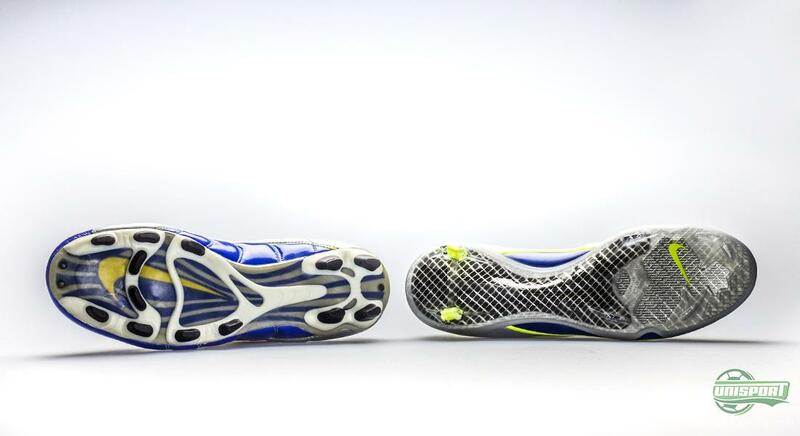 Blades are better at penetrating the ground, which gives an explosive kick-off and this is still something seen on the stud-configuration used on the Vapor IX. 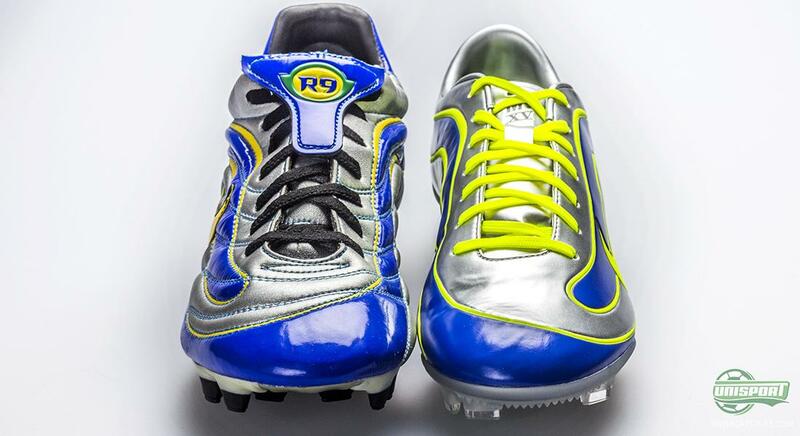 One major difference is however, that the newer version has just two studs on the heel. 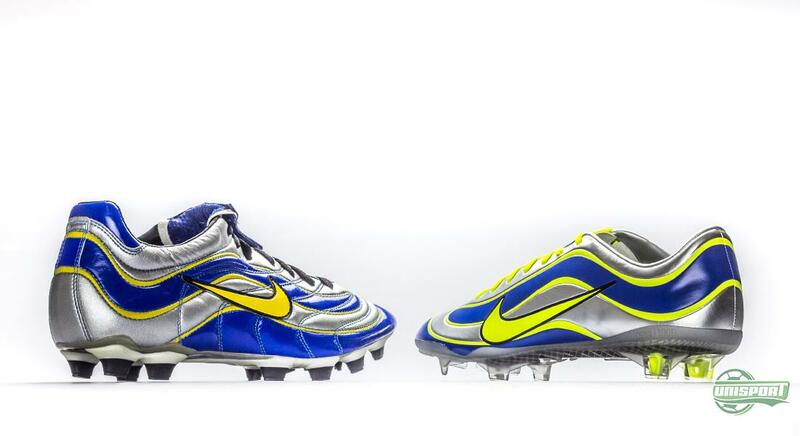 It is quite impressive when you compare the original Nike Mercurial R9, with the collection's newest member, the Nike Mercurial Vapor IX. The leap between the two is massive, but the thought process behind it, remains the same. The difference when going back through the generations does however get progressively smaller, which you can see in our awesome new The Mercurial Archive. 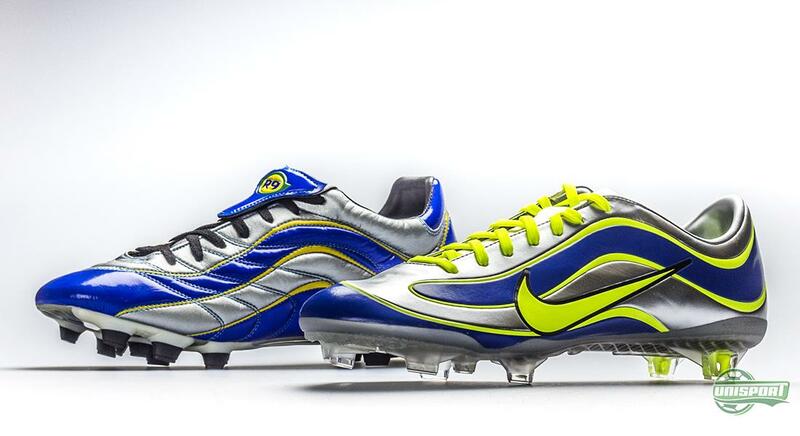 The Nike Mercurial R9 is in it's own right one of the most iconic football boots ever, with the design still holding its own. 15 years later it gets a fitting tribute, as a modern interpretation, based on the Vapor IX, takes shape. What do you say to the boots? Which do you like the best? Share your comment in the box down below.